Where in the world? This lecture will look at the astrology of place through various techniques including Astro*Carto*Graphy, relocation horoscopes, geodetic and local space techniques, and planetary crossings. Cathy presents an organized process for utilizing the various locational astrology techniques to determine the best places for a person to live, and to answer questions about locations for living, traveling, education, and business. Locational astrology empowers people to find places where their lives and potentials can be lived optimally. Cathy Coleman has been a practicing astrologer since 1984. She holds a doctoral degree in East-West psychology from the California Institute of Integral Studies. 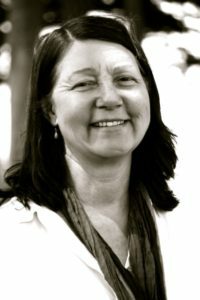 She was in the first graduating class of the Online College of Astrology (OCA), and the Online College of Vedic Astrology, is a certified Astro*Carto*Grapher, having attended Jim Lewis’ last course. She was President of Kepler College from 2001 to 2003 where she encouraged the exploration of comparative systems of astrology. She serves as education director and president of the San Francisco chapter of NCGR. She writes a weekly astrological blog (www.cathycoleman.co) has been published in astrological journals, and has lectured internationally. She has is an NCGR-PAA Level IV Consulting Astrologer, and a Jyotishi. Due to circumstances, time shortened and price is reduced to $35. Advanced registration is closed for this event, but seats are available at the door. We hope to see you there! This entry was posted	on Monday, September 10th, 2018 at 5:51 pm	and is filed under . You can follow any responses to this entry through the RSS 2.0 feed. Both comments and pings are currently closed.